The object lying in the field, about 150 yards away from his farmhouse window, looked like a bundle of old clothing to William Shackleton, peering out early in the morning of January 14 1858. On going to investigate, however, the Wadsworth farmer was horrified to discover it was, in fact, the badly-mutilated body of a man. The murder weapon, a coping stone still covered with blood, lay nearby. 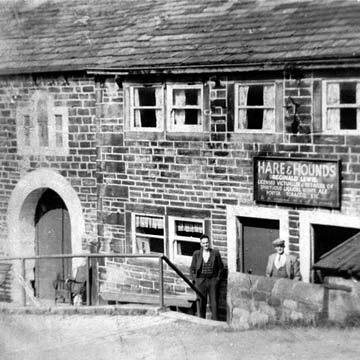 The unfortunate victim was soon identified as Bethel Parkinson, of Law Hill Farm, Queensbury. Bethel's wife, Mary, told the inquest into her husband's death that he had been accompanied by a man named Joseph Shepherd, whom he knew well. As the inquest progressed Shepherd's name cropped up more and more. Slowly the evidence piled up against Shepherd, a 22-year-old married man separated from his wife. Shepherd was not immediately apprehended but later gave himself up to the police. The night before his execution he said he would like a final "blow out" and preferred shooting to hanging. A crowd of between 10,000 and 15,000 watched his execution, including hundreds from the Calder Valley, among them Shepherd's father and his wife.